SKI Capital Services Ltd. (SKI) is a well-established stock broking house. As a full-service stockbroker, it offers various financial services and products to the clients across research, a range of trading products, technology, customer support, margin and more. As far as SKI Capital Franchise business opportunity is concerned, the broker has a couple of options where you can partner with SKI Capital. This partnership comes with its initial costing, potential revenue opportunities and other related business values. SKI Capital is a New Delhi based company, established on 15th July 1993 as a private limited company and converted into a public limited company on 29th September in the same year. The company offers a wide range of products and services in various segments. 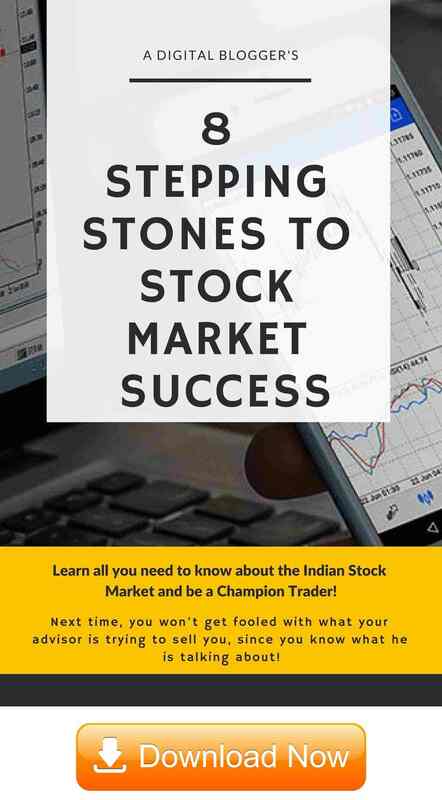 The stockbroker is a registered member of NSE, MCX, NSDL and NCDEX. In the year 1995, SKI commenced its operation in the NSE capital market segment. It has been the trading member in the F&O segment of NSE since the starting of derivatives market trading in India. From the number clients perspective, the broker is relatively smaller in size with around 1,075 active clients. SKI is well-equipped with the latest technology. All branches of the company are inter-connected with the state of the art networking technology, at least this is what the broker claims! The robust and user-friendly trading platform provided by the company enables to trade in different segments simultaneously. SKI invites an individual and entities to join hands with them as a business partner/ franchise/AP/Remisier. As a business partner, you will get an opportunity to grow and earn a good profit with future growth from the vast experience of the company. In this article, we will try to throw light on each and every important aspect of SKI Capital Franchise like types of business models, security deposit, costing, offers, security deposit/initial investments etc. Following are the advantages of starting a partnership business with SKI Capital. An opportunity to get associated with a brand name which is awarded as “India’s leading broking house” from the year 2008 to 2013 by Dun & Bradstreet. SKI Capital provides a large array of financial services and products. It will help you to acquire new clients easily and retain the old one for the long-term. You can provide your client online account facility like account opening, direct account information to clients, online voucher entry, and direct contract notes to clients. You will get one of the best trading platforms in terms of risk management, speed, convenience etc. You will get proper marketing and technical support to make your business popular and can run smoothly. SKI Capital will provide you overall support in your business set-up like training of your clients, advertisements of your business, client acquisition etc. Online depository services are provided by the company like online account opening, execution of delivery instructions, holding statement etc. Customized portfolio management services (PMS). You will get an attractive revenue sharing ratio. You will not face any problem related to the payment as pay-in and pay-out is strictly under the rules and regulations of the stock exchange. To become an associate of SKI Capital, you must qualify the following eligibility criteria. Must have the capacity to invest ₹2 lakhs – ₹3 lakhs initially, then in infrastructure and the people according to the demand of their business. Must have a good track record in the financial market space with a good client base. Minimum 1-2 years of experience in selling financial products as a sub-broker/AP/Franchise. If you want to become a sub-broker of SKI Capital, you must have enough knowledge and experience in this field. You will have the capacity to invest at least ₹2 – ₹3 lakhs initially to start your business. You will have to set-up an office with the required infrastructure. The minimum requirement of office space is 200 square feet in the prime location of your town. 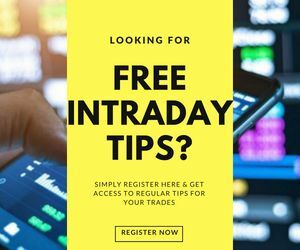 As a sub-broker, you will get the right to access all necessary technology and tools of the broker which is used for trading and investing purpose. You will get a reasonable revenue sharing ratio from SKI Capital and it can be increased also depending on certain factors. Right to access everything of the company required for trading and investing purpose. You can change the brokerage fee chart for your clients. You are free to run your business as you want. An attractive revenue sharing ratio. This model is the same as the sub-broker model, the only difference is that in this model you will have a monopoly over the area where you are as a master franchise of SKI Capital. No other sub-broker will enter that area. It basically implies that you can easily acquire clients for your business without facing any tough competition. Monopoly in a particular area. Clients can be easily acquired. Better revenue sharing ratio than a sub-broker model. This is the third and the last model offered by the broker. Under this model, you are supposed to bring the clients to the company. You will not have to invest any money to start as a remisier. You can sit under the roof of SKI Capital and can work from there. The clients you bring will work under the main broker so you need not think for the revenue target. You will get a percentage of the revenue generated by the clients you bring to the company. You are not supposed to set-up an office to work. A reasonable percentage of revenue will be shared with you. When you work as a business partner with any stockbroker, there is a specific percentage of the overall revenue generated by you that gets shared back with you. You get to use the brand equity and the resources of the broker in order to generate revenue for the business. In lieu of that, you get a specific cut out of the total revenue at the end of the month. The range of revenue sharing ratio for the sub-broker is 50%-70%. Generally, this range is on the basis of the security deposit, selling of financial products, prior experience of sub-broker, bargaining power etc. But, the most important is revenue generation. Higher the revenue generates, higher the revenue sharing ratio. It may go high also on the basis of the growth of the company. However, this range of revenue sharing is not low. It is in line with the industry. 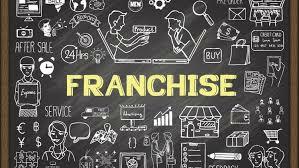 The range of revenue sharing ratio for a master franchise model is 70%-80%. 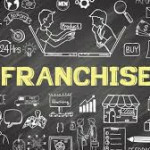 The larger portion of the revenue generated goes to the master franchise. And SKI Capital will keep a low portion because of maximum effort given by the master franchise. A remisier gets 20%-30% of the revenue generated by the clients he/she brings to the company. A remisier role ends just after converting a prospective client to the client of the company. So, keeping their limited role, the revenue sharing ratio is justified. This range is at par with the industry in the same business model. For you to get started with the stockbroking business, you need to pull in an initial security deposit with the broker. Most of the times, this amount is refundable in nature, although it makes sense to get it documented before paying out anything. For both, the sub-broker and master franchise model you need to invest Rs.2 lakhs-3 lakhs amount for the set-up of office and required infrastructure. The sub-broker needs to deposit a ₹50,000 refundable security deposit amount. This money will be refunded at the time of the end of the contract. While Master franchise needs to keep ₹2,00,000 as refundable security money. 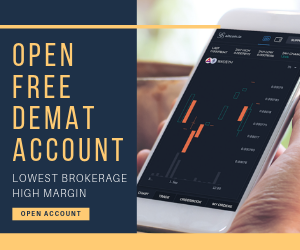 Sub-broker and the master Franchise both are required to deposit some non-refundable security money that amount is just ₹2360 for NSE registration and a minimal amount for the use of the trading platform of the company with some maintenance charge. As a Remisier need not make an initial investment, they are required to deposit ₹10,000 as security money. Receive a call from the call centre executive to verify your interest. Receive another call to fix an appointment with the sales executive of the company. Meet the sales executive for the details of the partnership business and to clarify your queries. Submit all the required documents for the verification purpose with the security deposit cheque. After verification, you will get an account ID. Now, you can start your business. The whole process will take almost 4-5 business days to complete. As a business partner with SKI Capital, you will get the following supports from them. Marketing support: The broker will give you marketing support like the advertisement of your business through TV, Newspaper, mouth-to-mouth publicity, brochures etc. Training support: Proper training will be provided to your clients through seminars and events. Technical support: You will get technical support from the company like 24-hour power supply, power back-up etc for the client facility. Back office support: For any query, you can take help of back office. You can get records of your client revenue generation on a daily, weekly, monthly, yearly basis. Client acquisition support: They will help you to acquire clients for your business. So that your client base can be strong and ultimately the revenue generation. At SKI Capital one can get all investment options. The broker has a huge client base of both long term and short term. It offers a multi-functional trading platform for its clients and partners. It has a wide offline presence all over the country. SKI offers three business models to join hands with them. It shares an attractive revenue ratio with its partners with a low or affordable security deposit. So, overall SKI Capital is one of the best options to start a partnership business in the broking field.